Social Media Marketing services is more about Psychology than Technology.  Frequent social media posting helps build customer relationships that strengthens brand loyalty. To give brand an exposure and to reach prospective customers, mediums like Facebook, LinkedIn, Instagram, Twitter etc are opportunities to decrease marketing cost as well as save time and money. The first step to any social media marketing strategy is to establish the objectives and goals that you hope to achieve. The way to convert the audience you're remarketing to is to have consistent, quality marketing. Using the insights from our reporting and analysis we make sure that your message reaches your audience and fits across all your marketing channels.